It seems now-a-days, subscription boxes are all the rage. There are boxes for makeup, socks, cleaning products, and even your pets. You can sign up for whatever tickles your fancy, and each month a box of goodies is dropped on your doorstep. Personally, I’ve never been too into this trend. But when Butcher Box reached out about their product, I couldn’t wait to try it. High quality meat delivered straight to my door?? That’s the stuff I dream about! Click this link and use the code “UltimatePaleo10” for $10 off your own box today! 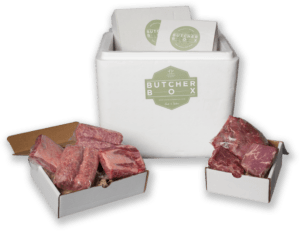 In case you haven’t heard of Butcher Box, let me break it down for you. Butcher Box is a subscription box service that delivers grass-fed meat right to you. For $129/month, you can choose from five different boxes of meat selections. Depending on the box you choose, you receive grass-fed (and grass-finished) beef, organic pastured chicken, and/or humanely-raised pork. Each box contains 7-10 pounds of meat which should provide you with at least 20 meals worth. According to the website, this prices out to $6.50/meal. Every cut of meat is flash-frozen at the peak of freshness and packaged individually. You can also add-on products like sausage, chicken breasts, and ground beef to your box if you’d like. As far as the packaging goes, the meat comes in a reusable cooler bag with dry ice. Each Butcher Box also includes a few recipe cards for different cuts of your meat in case you’re looking for meal inspiration. The box also included 2 recipe cards – one for Maple Ginger Pork Chops with Colcannon and the other for Primal Palate’s Adobo Chicken. 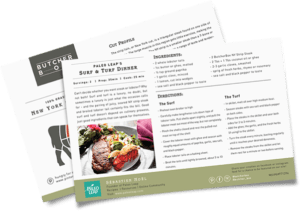 Not only do these cards include a recipe, but they also provide additional information about the different types of meat – like taste profile, cooking tips, and best thawing methods. I was impressed from the moment I opened the box. And, honestly, I consider myself not easily impressed (for better or worse). The quality and presentation of the materials (cooler bag, recipes cards, welcome letter, etc.) was really great. I tried out the Maple Ginger Pork Chops recipe and it was delicious. My boyfriend, who is NOT a fan of pork chops (and reminded me of this several times as we were cooking ;)) LOVED them. I am a fan of supporting companies that are doing good in the world. And, Butcher Box, is one of them. Their main mission is to make high-quality, grass-fed beef accessible to everyone. 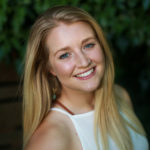 Although I live in Portland now and sustainably-raised food is easy to come by, I grew up in a rural Midwest town that (until recently) only had a Wal-Mart as a shopping option. It was extremely difficult to find grass-fed, pastured anything there. The beef from Butcher Box is not only grass-fed but also grass-FINISHED. The cows spend 100% of their time on grass (which is not always the case with grass-fed beef.) Grass-finished beef is not only better for the animals and the environment but the health benefits transfer over to you. Not to mention – the meat tastes MUCH better than conventionally raised animals. The only downside I see to Butcher Box is the price. Yes, shelling out $129/month for meat seems like a hefty price tag. But you also have to consider what you’re getting for that price – 100% grass-finished/pastured/humanely-raised/organic meat from farmers who care about their animals and the product they are putting on the market. If you live in an area where grass-fed beef is hard to come by, and can fit this purchase into your food budget, I would highly recommend trying out Butcher Box. For the quality and quantity of meat you receive each month, I think it’s well worth the price. Order your Butcher Box today for 100% Grass-fed Beef, Organic/Pastured Chicken, and Heritage Breed Pork delivered (for free) right to your door. 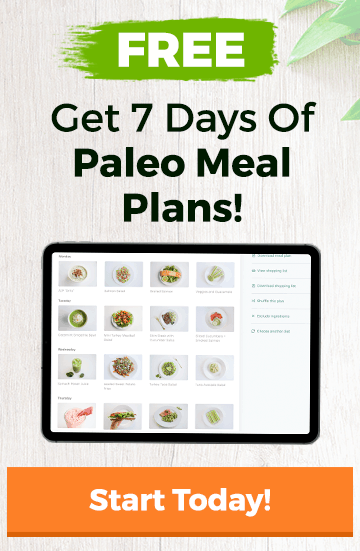 Use the code “UltimatePaleo10” for $10 off!